Metal Wall Vents Made With Thicker Metal! 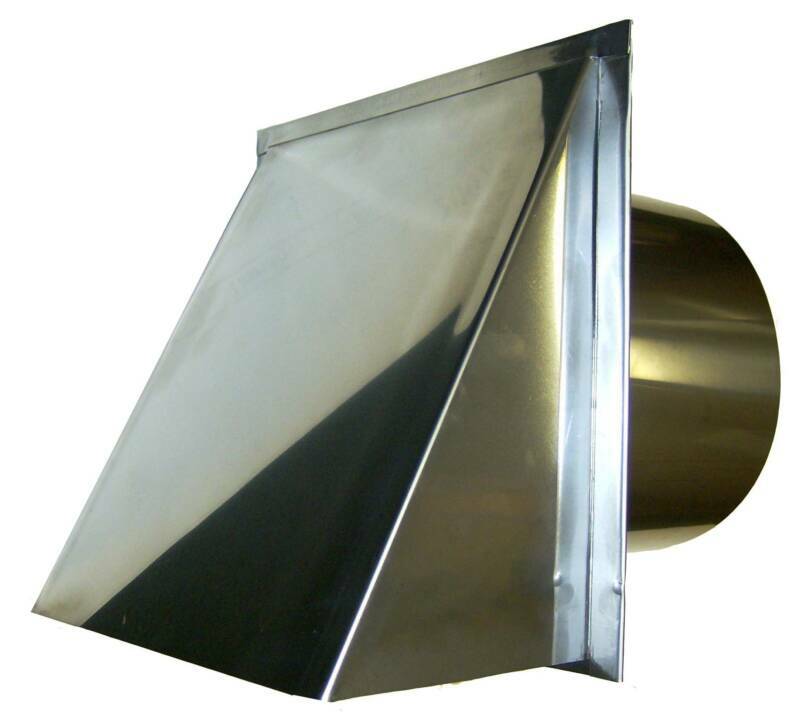 Our outdoor metal wall vents are used for a variety of residential and commercial exhaust uses including dryer vents, bath fan exhaust vents, kitchen range hood exhaust vents, and other exterior exhaust needs. Additionally, wall vents are commonly used for air intake vents to bring in fresh outside air for furnace and heating appliances, for HRV and ERV recovery systems and for whole house air systems. Order online, or call or email us and we'll take care of you promptly. We're proud to provide some of the best customer service you'll probably experience, and sturdy, well made outdoor vent covers that were manufactured right here in the United States of America! Thank you to all of our wonderful customers. We're proud to serve you! 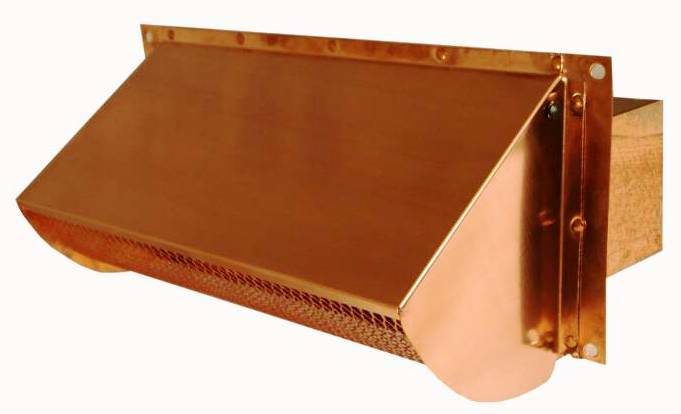 Luxury Metals metal wall vents are made from a heavier gauge metal than most other exhaust vents on the market. Our vents are made from 26 gauge metal while most vents available are made from 28 or 30 gauge metal. (Metal thickness is actually greater when the number is smaller). 1) A damper, screen or both 2) copper, stainless, or galvanized steel. 3) round or rectangular duct shape 4) an upgraded design with special features that reduce noise, damper rattle and prevent energy loss. 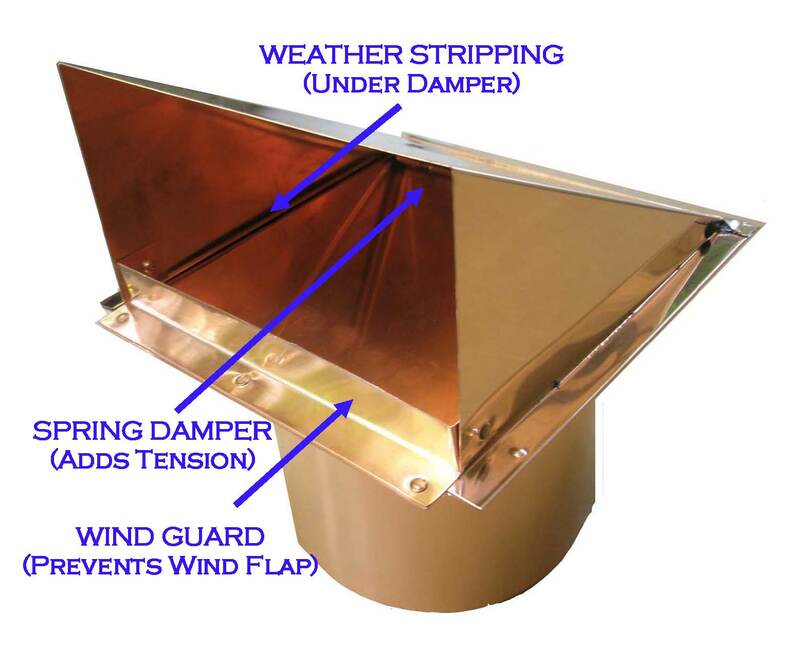 -Heavier gauge metal that is better equipped to handle "Mother Nature"
-Spring loaded damper on the dampered or "flapper vent models"
-Copper and Stainless models are delivered with a removable plastic coating that protects the vent during the manufacturing process.